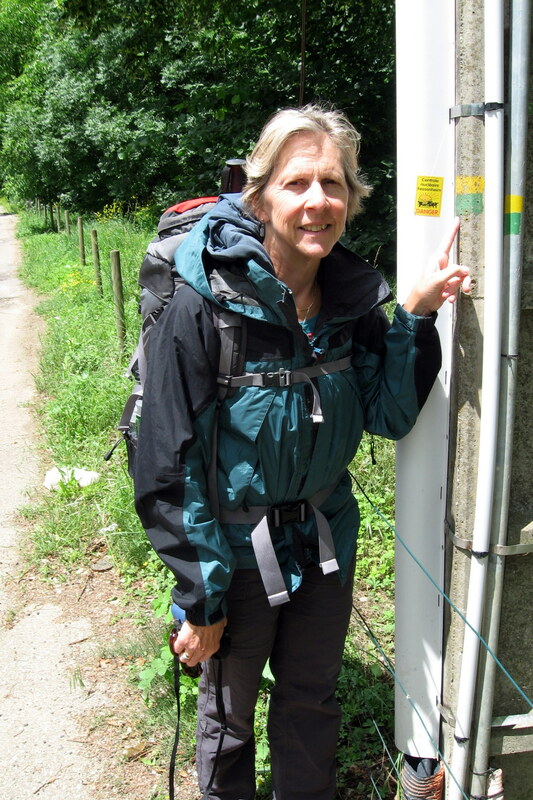 Monday, June 21 – Bus from Ales to Florac, Walked from Florac to Quezac – 9 kms. | Say Mar Say! - C'est Marseille! « Tuesday, June 22 – Walked from Quezac to Sainte Enimie – 17 kms. 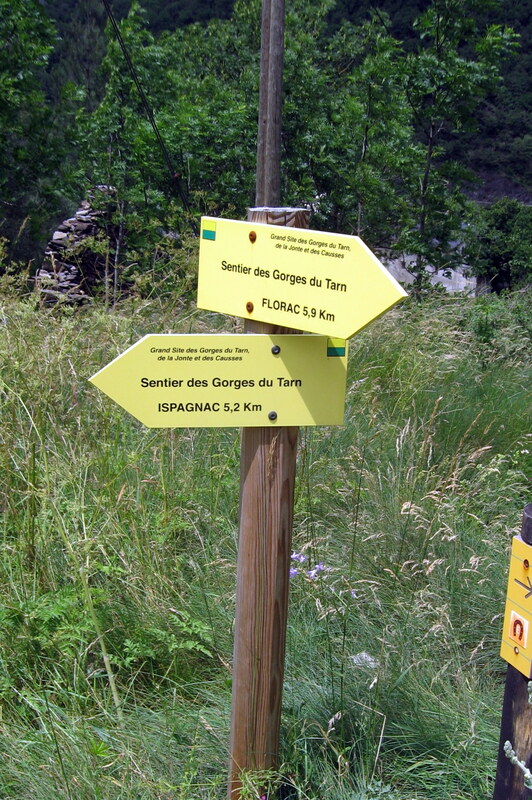 Monday, June 21 – Bus from Ales to Florac, Walked from Florac to Quezac – 9 kms. 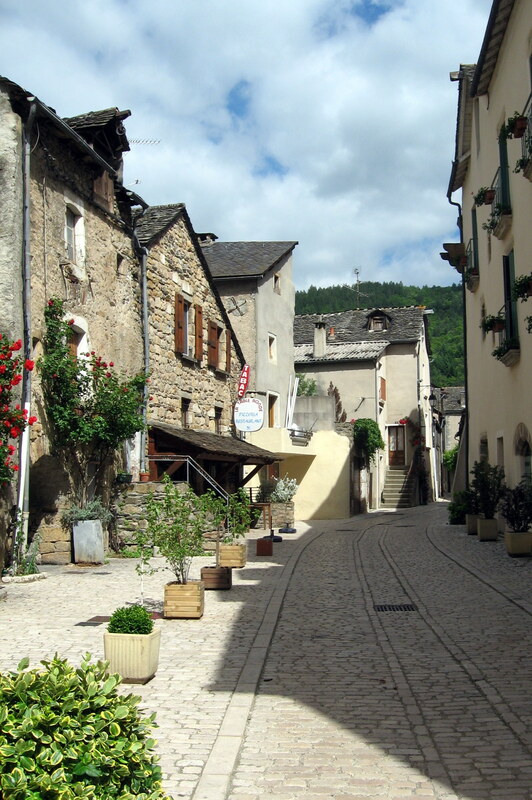 Took small autocar – a van, really – from Ales to Florac and immediately began walking. We’re on our way! Walked through Ispagnac, a village rue that is long and narrow because it is comprised of one street rather than round and fortified. Told there are four such villages remaining and Quezac is one of them as well. There is a historic bridge that leads into Quezac. Stayed at La Maison de Marius, chambre d’hote. Impeccable. At the place enjoyed a long talky dinner with Irish couple who lived in Great Britain and the hostess and her friends, a French couple from Languedoc. Very sympa (nice). This entry was posted on February 7, 2013 at 10:12 am and is filed under Hiking In France. You can follow any responses to this entry through the RSS 2.0 feed. You can leave a response, or trackback from your own site. Marius…the first name of my grandfather! it looks like you truly know how the life in Marseille is and I’m going there this may and wounder if you can tell me how the life in this town is? Thanks. The blog is my best attempt at describing life in Marseille. It’s a lively and fascinating city. How was your trip?